On a day celebrating American independence, we decided to think about products that are made right here in the U.S.A. Although many products and industries have been outsourced over the past few decades, America still makes plenty of items at thousands of plants around the country. Cars are no exception — even though automakers are rushing to build cars in places like China, our 50 states are still home to scores of plants churning out hundreds of thousands of new vehicles each year. Which of those plants are the most prodigious in terms of output? We compiled this list of the 15 American factories that build the most new cars each year. Figures here are for calendar-year 2011, based on data compiled by Automotive News. Henry Ford, who pioneered the moving assembly line, would surely be proud to see three Ford Motor Company factories on this list. The Kansas City plant had the highest output of any car factory on U.S. soil last year, thanks in part to Ford cranking up production of the Escape. The factory built 321,322 examples of the Ford Escape in 2011, because Ford wanted to produce as many as possible before the all-new 2013 Escape went on sale this summer. 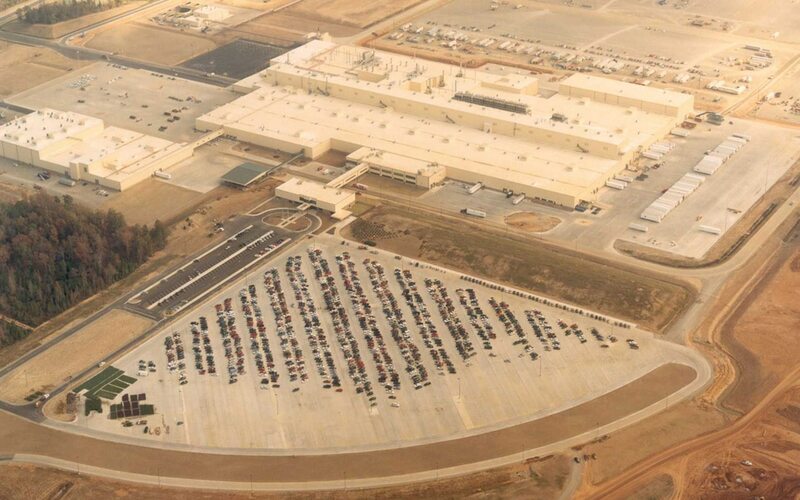 The 4.7-million square-foot Kansas City plant also produced 135,039 Ford F-Series trucks and 3977 examples of the Mazda Tribute (a rebadged Ford Escape). Opened in 2004, the Dearborn Truck Plant is home to America’s best-selling vehicle: the Ford F-Series pickup truck. Last year the factory put together 323,415 copies of the F-Series, as well as 473 copies of the now-dead Lincoln Mark LT pickup. The factory employs about 3200 people and has 2.3 million square feet of floor space. They may be designed and engineered in South Korea, but the Hyundai Elantra and Sonata are both assembled in the U.S. The two-million square-foot factory was officially opened in May 2005, marking Hyundai’s first manufacturing facility in this country. Production ramped up so quickly that HMMA had built one million cars just four years after its doors opened. 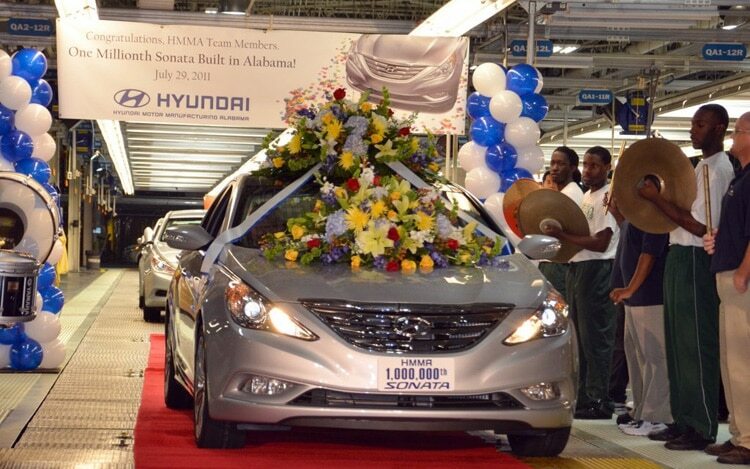 Last year, the factory produced 227,663 Sonatas and 114,499 Elantras. HMMA’s first car was the Hyundai Santa Fe, but that model has since moved to the Hyundai plant in West Point, Georgia. 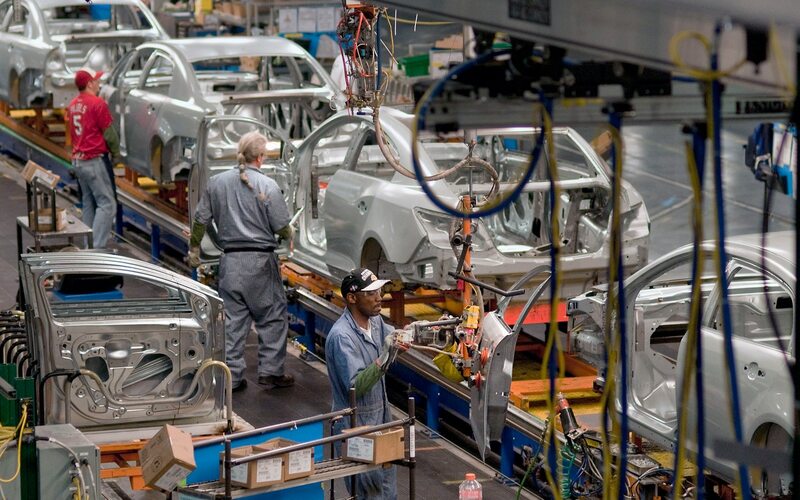 Smyrna is one of the oldest foreign-owned auto plants in the U.S., with production starting back in June 1983. It’s also the second highest-producing foreign-owned factory in the country, thanks in part to strong demand for the Nissan Altima. The automaker built 150,035 copies of the midsize sedan last year, with the Maxima sedan following closely behind at 65,730 units. Last year, Smyrna also assembled 55,758 Frontier pickups, 35,490 Pathfinder SUVs, 23,964 Xterra SUVs, and 2415 examples of the Suzuki Equator. A Suzuki was built at a Nissan plant? Yes, because the Equator is based on the Nissan Frontier. Toyota has long manufactured many of its cars in America, including the perennially top-selling Camry midsize sedan. Speaking of the Camry, it’s assembled at Toyota’s 7.5-million Georgetown plant, the largest Toyota factory outside of Japan. At 228,735 cars in 2011, the Camry is Georgetown’s highest-output vehicle. 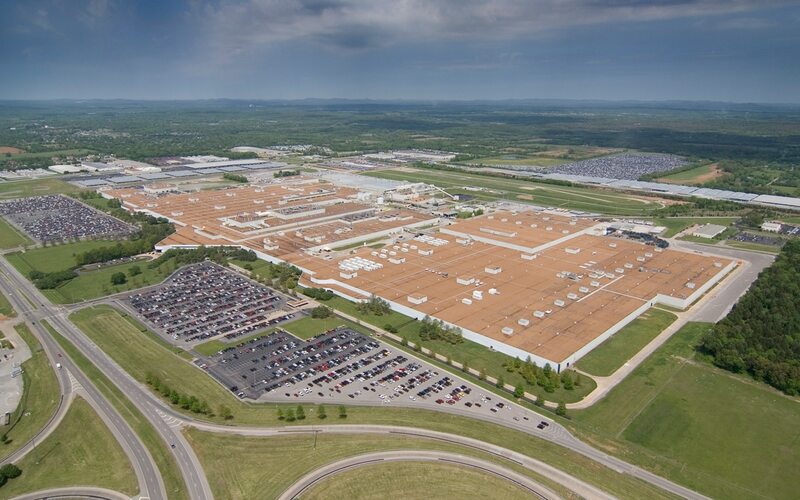 The Kentucky facility also churned out 48,318 Venza crossovers and 38,836 Avalon sedans last year. Fort Wayne is the busiest General Motors plant in America, as it’s responsible for the company’s two big pickup trucks. The 2.85 million square-foot factory was opened in 1986, and by 2004 had built four million vehicles. 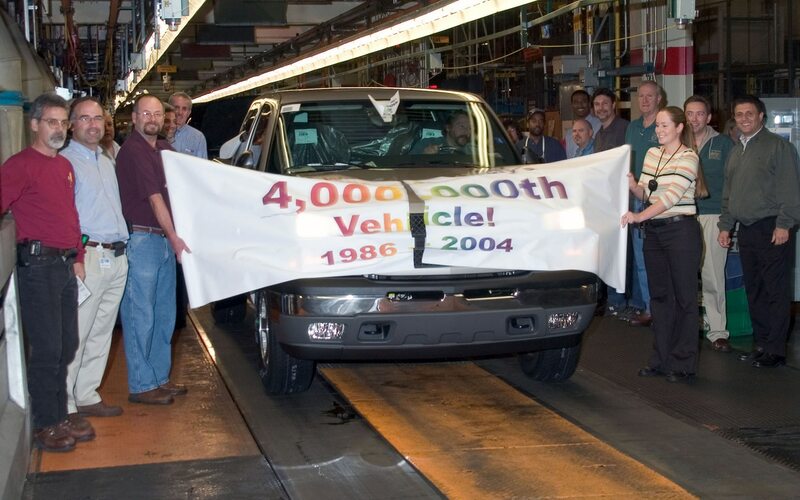 The milestone model, incidentally, was a 2005 Chevrolet Silverado that rolled off the line on November 5, 2004. Fort Wayne builds just two models. Last year it assembled 221,914 Chevrolet Silverado pickups, and 85,540 units of the mechanically similar GMC Sierra. Honda’s assembly plant in Marysville is even older than Nissan’s Smyrna plant. 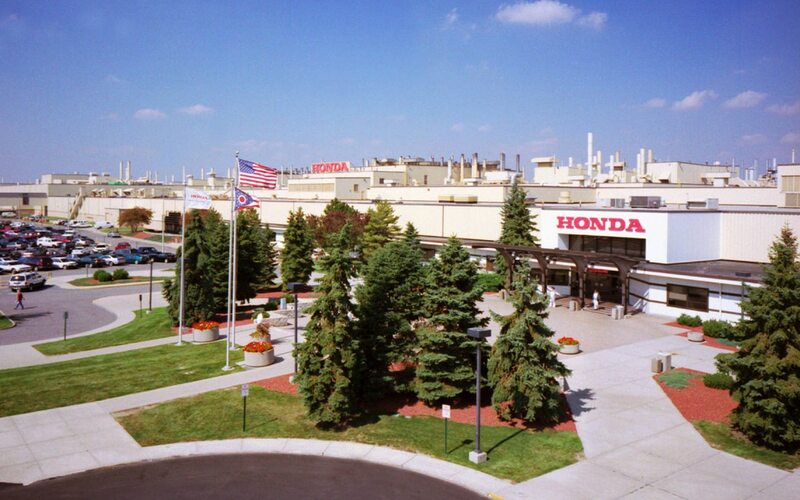 Production at the 3.9 million square-foot factory started in November 1982, although Honda had already started building motorcycles in Marysville, Ohio, in 1979. Today, the facility’s biggest product is the Honda Accord, of which 231,425 units were assembled last year. Honda also built 34,266 Acura TL sedans and 19,567 Acura RDX crossovers at Marysville in 2011. In early 2006, Kia announced plans to build its first North American manufacturing base in Georgia. Fast forward three years, and production of the Kia Sorento began in November 2009. But that wasn’t the only vehicle that would be built at the West Point plant: in October 2010, the factory added production of the Hyundai Santa Fe, and in September 2011 the 2012 Kia Optima joined the crew. In February of this year, KMMG celebrated building its 500,000th vehicle. The most popular one of those is the Kia Sorento, of which KMMG assembled 150,865 last year. There also were 92,628 Hyundai Santa Fes and 38,823 Kia Optimas produced at West Point in 2011. 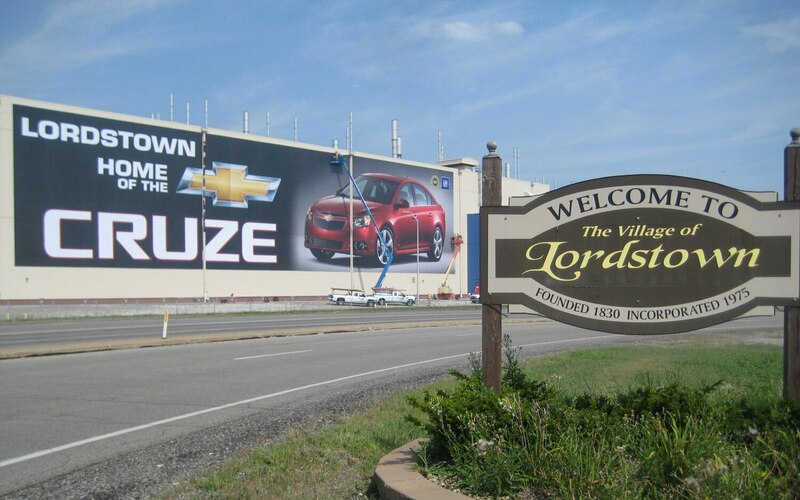 Clearly visible from the I-80 Ohio Turnpike, GM’s Lordstown factory proudly wears banners proclaiming it the home of the Chevrolet Cruze. Production of the compact sedan began in Ohio on September 8, 2010. Last year the 46 year-old assembly plant built 279,674 units of the popular Chevrolet Cruze. GM also claims that Lordstown (which also has a metal shop and paint shop) is one of the top-producing car plants in the history of the automobile. 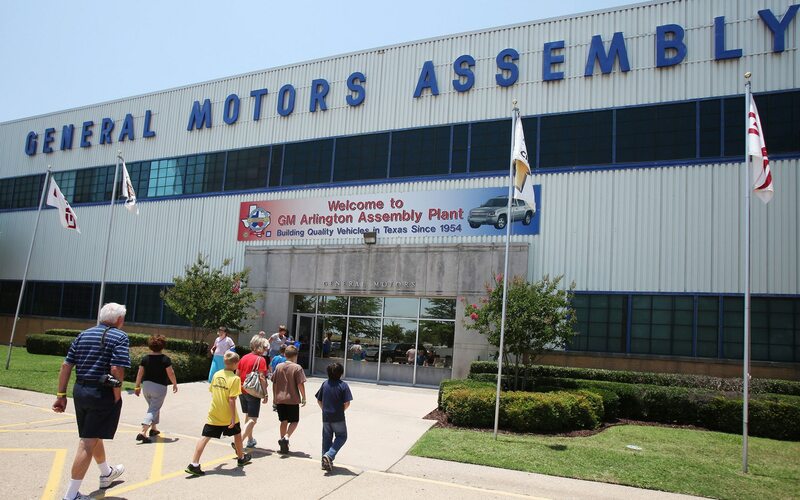 Since it opened in 1966, the facility has built over 14.5 million vehicles. Factories on the grounds of the Fairfax Assembly Plant once built jet fighters, but now the plant is responsible for assembling two GM sedans. Those combine to make this the tenth highest-producing car plant in America, thanks to building 214,349 units of the Chevrolet Malibu and 64,901 copies of the Buick LaCrosse last year. In fact, GM says that the bustling Fairfax facility completes a new vehicle every 58 seconds. 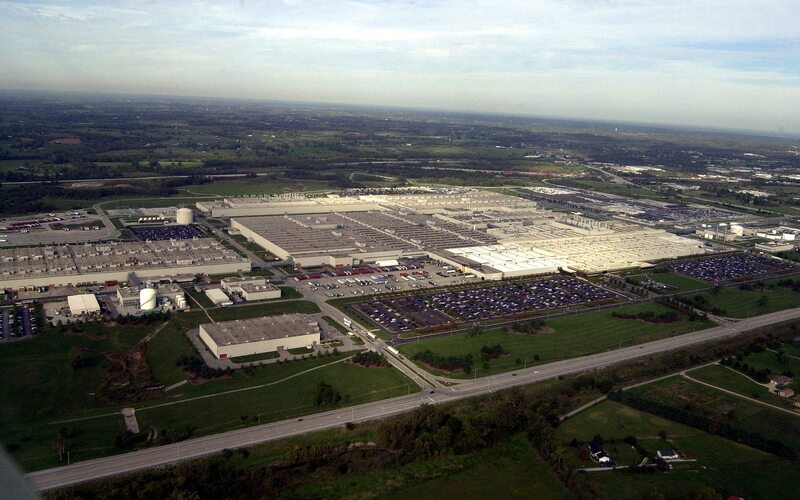 The Lansing Delta Township assembly plant and its associated Lansing Regional Stamping plant are responsible for building GM’s Lambda-platform crossovers, which together account for quite a solid number of vehicles. Of the three versions, 117,627 Chevrolet Traverses were built in 2011, followed by 90,493 copies of the GMC Acadia and 69,157 Buick Enclaves. Lansing Delta Township used to build the Saturn Outlook, too, but that version of the Lambda crossovers vanished after the Saturn brand was eliminated. 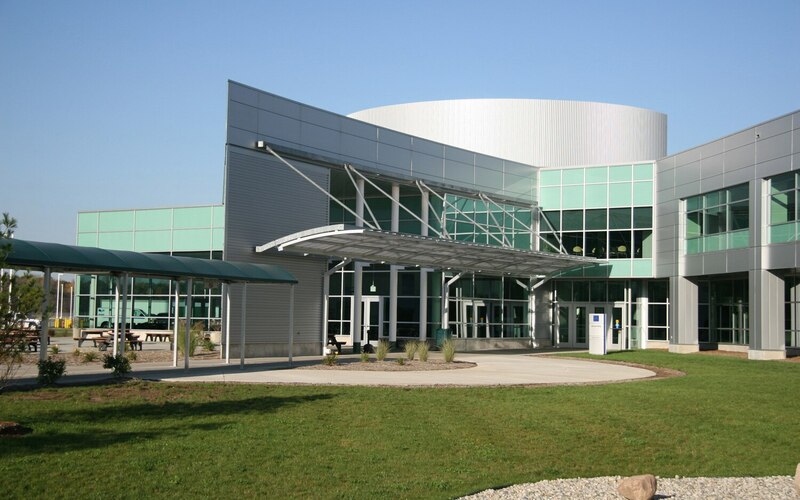 GM actually has another plant nearby in Lansing, but with just 66,690 cars assembled last year, the Lansing Grand River facility didn’t make the cut for this list. It builds the Cadillac CTS, and used to build the Cadillac STS. BMW’s plant in South Carolina first built a white 318i sedan in September 1994, and the Z3 roadster went into production at the factory in 1995. 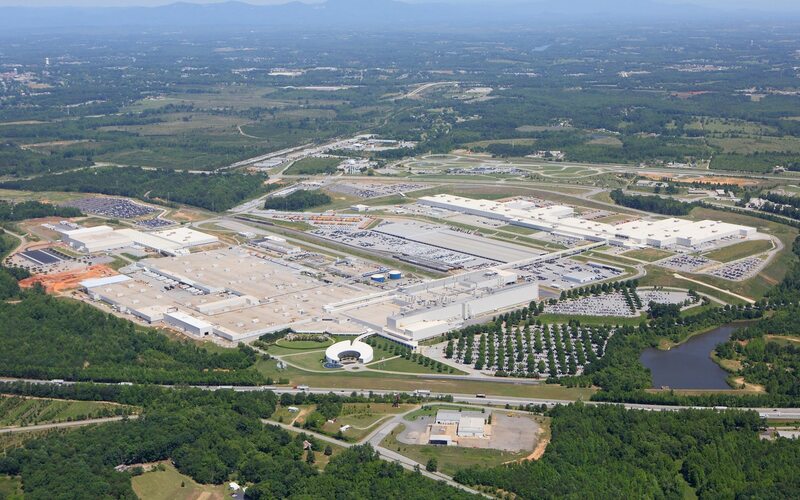 The Z3 later gave way to the Z4, which was built at Spartanburg until 2008.The BMW X5 joined the sprawling four-million square-foot facility in 1999, and today the plant is responsible for building all BMW SUVs. The most popular is the X3, of which 122,000 examples were built in 2011, followed by the X5 at 111,054 copies, and the X6 and 44,020 units. BMW says its plant builds 1000 vehicles every day, of which around 80 percent are custom-ordered. There’s a lot of history at GM’s Arlington plant. The first car ever produced there was a Pontiac Chieftain, assembled January 6, 1954. Other notable vehicles that have rolled out of the factory doors include the Pontiac GTO, Cadillac Brougham, Oldsmobile Cutlass Supreme, Buick Roadmaster, and Chevrolet Caprice. 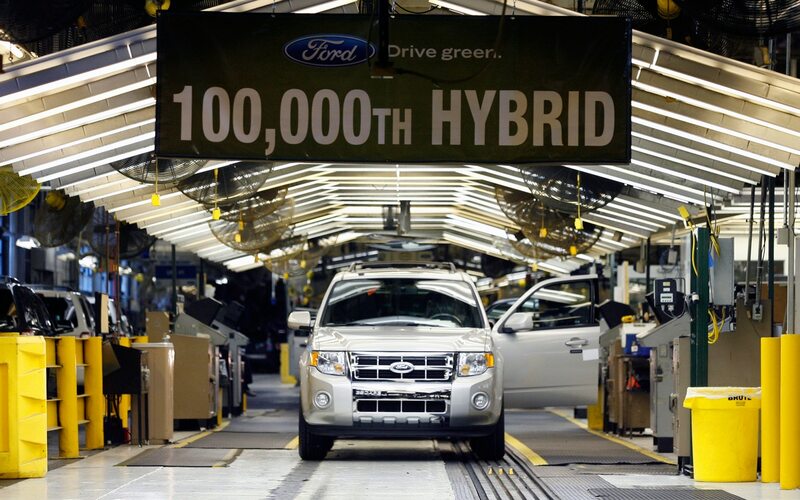 Today, the plant builds large SUVs, of which the most popular is the Chevrolet Tahoe, at 101,080 units last year. The GMC Yukon follows at 85,421 copies, along with the Chevrolet Suburban at 58,976 examples, and the Cadillac Escalade at 24,177. 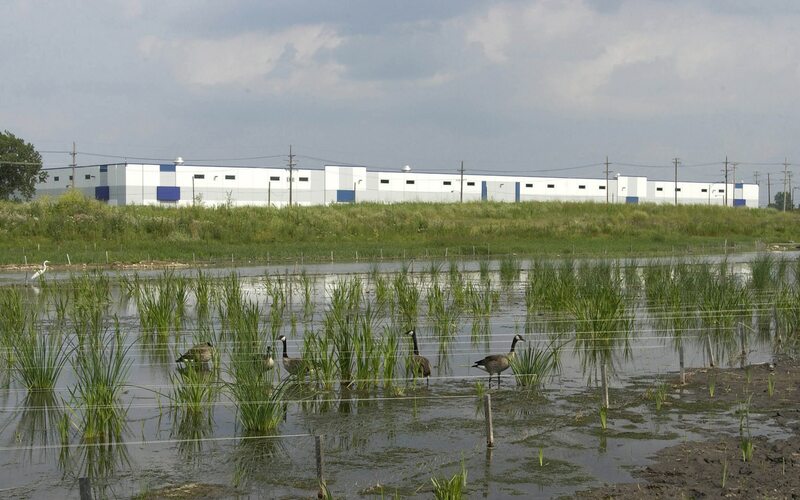 Lincoln is home to Honda’s newest car plant in the U.S., which Honda rushed to open in 2001 in order to meet increased demand for vehicles. 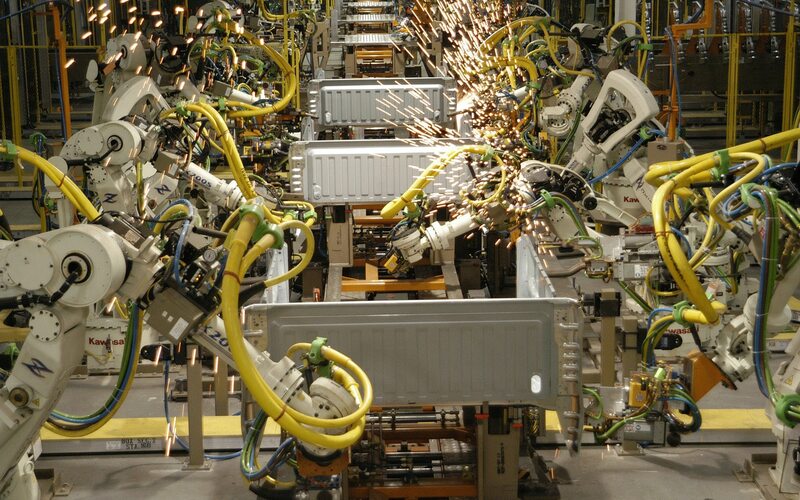 A second assembly line opened in 2004. The highest-volume product for the 3.1 million square-foot factory is the Odyssey minivan, of which 131,392 copies were assembled in 2011. 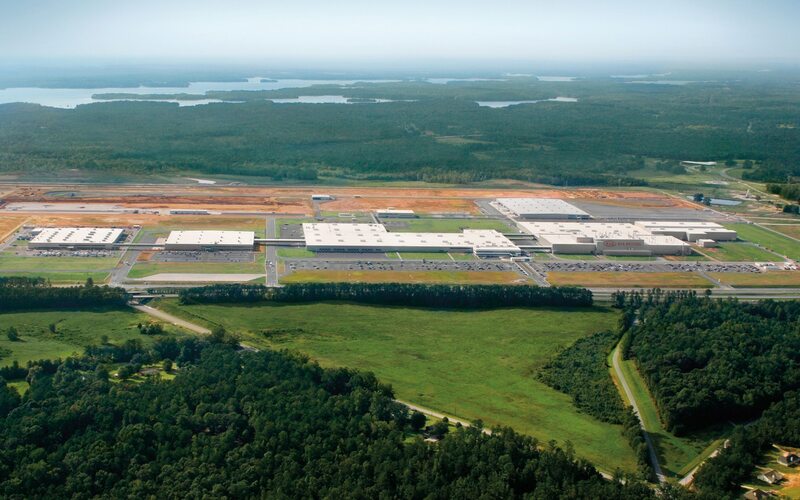 The facility also built 119,897 Pilot SUVs and 13,035 Ridgeline pickup trucks. Ford’s plant in Chicago has been around since 1924, although back then it bolted together the Model A, Model T, and later vehicles like the Ford Granada and Torino. In recent years, the 2.7 million square-foot factory has been used to assemble the Ford Taurus and Lincoln MKS sedans. Last year 78,016 Taurus sedans were assembled and 12,787 copies of the Lincoln MKS. But the award for highest production goes to the new Ford Explorer, of which 171,927 were built in Chicago last year.